The League of American Bicyclists recently released its annual analysis of bicycle commuting in the United States, as measured by the U.S. Census Bureau. Though the Census measures only a relatively small portion of the bicycling that happens in communities across the United States--the minority of trips that are to or from work or school--it is still some of the best available data on the amount of bicycling and walking, especially in terms of detecting long-term trends. In our third edition of “Where We Ride: An Analysis of Bicycling in American Cities” we take a look at the growth of bicycle commuters throughout the country, based on new data from the Census Bureau's American Community Survey. We dissect broad trends, like where among large cities bike commuting is growing fastest, and take on and more granular analyses, like which cities are exploding with bike commuters by region and size. 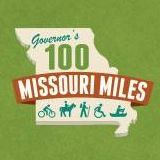 Missouri is ranked 42nd among the 50 states in the percentage of bicycle commuters. The amount of bicycle commuting across the state has increased 41% since 2005. St. Louis is ranked 22nd among the 70 largest U.S. cities in the percentage of bicycle commuting. Bicycle commuting in St. Louis city increased 280% since 2000--5th fastest of any large city in the U.S.--and an amazing 380% since 1990. The continually high level of increase in bicycle commuting in St. Louis over the years is certainly due to a steady and ever-improving level of on-street bicycle routes provided by the various phases of the Bike St. Louis plan over the years. During the years covered by the data, the Bike St. Louis plan has gone through three phases, with increasingly improved routes and quality of facility with each phase. The steady increase in the amount of bicycling across the city over that time period proves that this approach works and works well. Kudos to St Louis city leaders, staff, agencies, and advocacy groups who have worked hard to implement this approach over the years. It is very obvious from these figures that their work has been on target and effective. Kansas City is ranked 66th of 70 the largest cities. Bicycle commuting has increased 67% since 2000--40th fastest growing among large cities in the U.S.--and 84% since 1990.